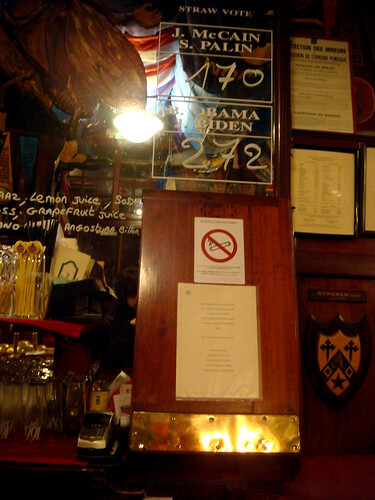 0 Comments Published by Cedric Benetti on Wednesday, November 5, 2008 at 11/05/2008 08:33:00 PM. 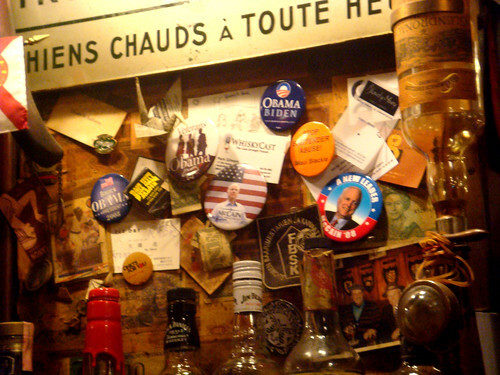 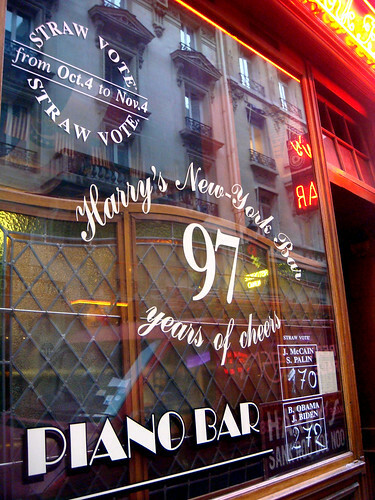 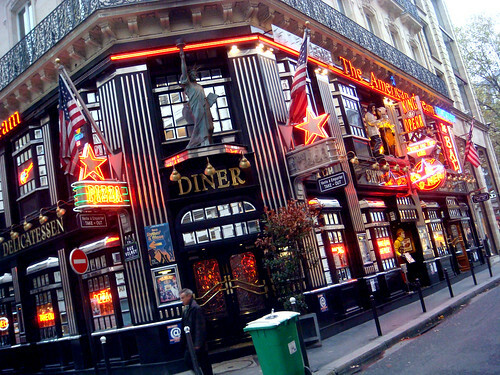 In 1924, Harry MacElhone installed the Straw Vote at Harry's Bar in Paris, to give Americans in Paris the ability to vote before the vote itself. 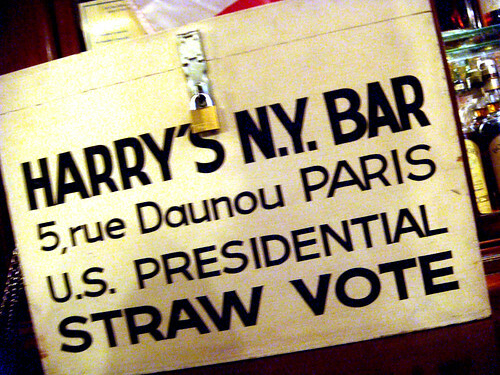 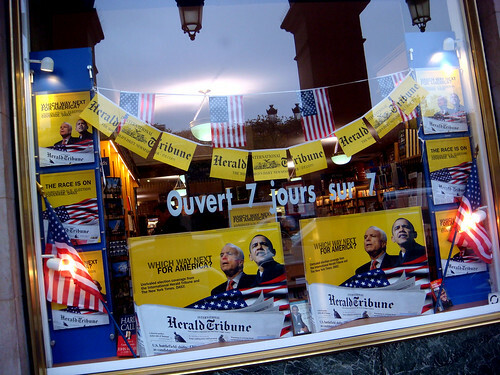 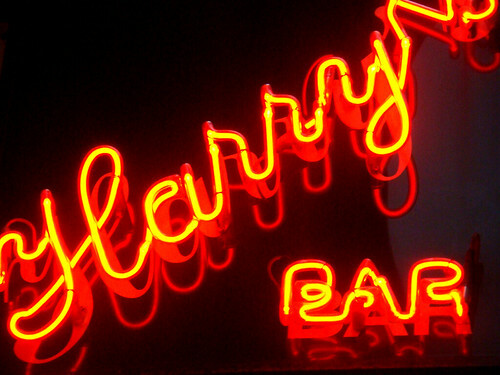 The Straw Vote has ever since become a real institution on election night, as over the decades, Harry's was wrong only twice: In 1976,election on Jimmy Carter and in 2004 for the re-election of Bush. 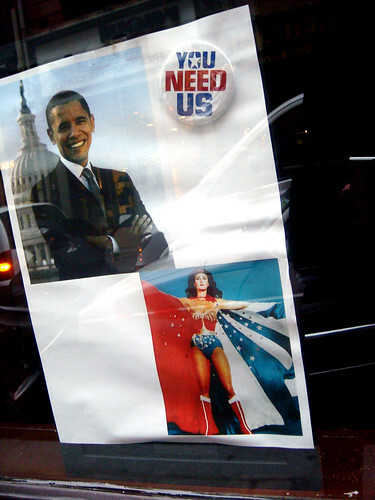 So what has the vote resulted to this year? 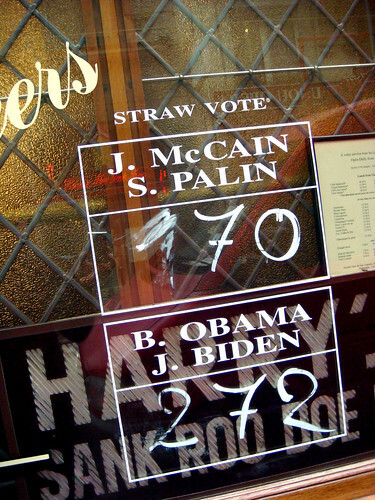 The results were 170 votes for McCain-Palin and 272 for Obama-Biden.